Hangzhou is a very beautiful city, full of interesting panoramic buildings, as well as eastern-style gardens are arranged beautifully with the landscape. Around the banks of the lake Xi Hu, filled with trees and vegetation trimmer with a beautiful landscape arrangement. Conserve the Hangzhou city government in the mountainous area around the lake and planted more trees and improve the landscape. In the West Lake zone botanical garden created and flower gardens, as well as renovating the area saw the fish pond in the garden area of interest. Some interesting vegetation that can be found around the lake include peach trees, lotus and osmanthus flower, plum and tulip. 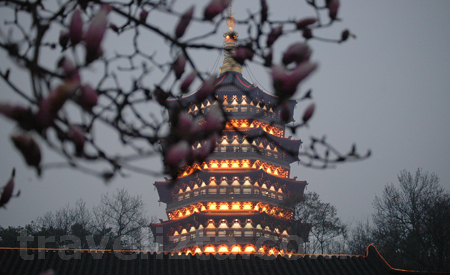 Hangzhou is a traditional city. When we visited this town, we had communication difficulties because all over town that read kanji, very rare paper / markers in English. At that time there was also a public transport bus only, the difficulty increases because most city residents do not speak English, including public servants, including local police and the bus driver. 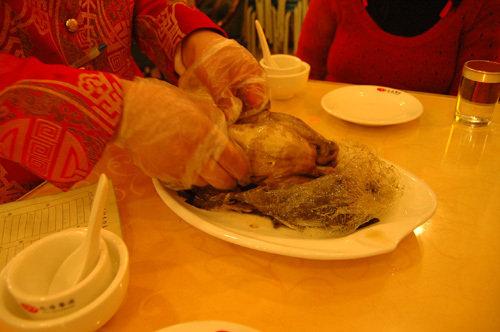 Hangzhou city is home to many types of best meal in mainland China, many local culinary uses ingredients pork and seafood rather than beef and mutton, as typical cuisine of the area north and west of the mainland. Hangzhou famous food such as "Dongpo rou", meaty pork with gravy, "cuyu": fish sauce, vinegar and "beggar's chicken" or beggar chicken. Search for Discounted Hotels in Hangzhou here!